You may want to think twice before playing this portable MMO. 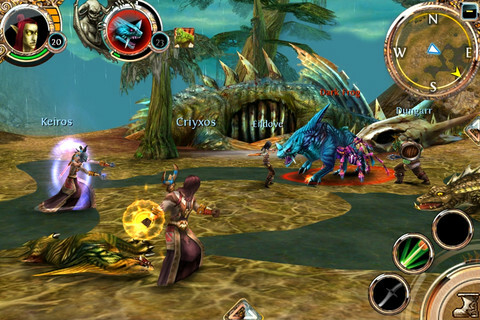 Order & Chaos Online receive high praise, as Gameloft managed to successfully bring a World of Warcraft style experience to the iPhone and iPad. That being said, someone (or group of folks) decided to ruin it for everyone by hacking the game and making off with players' user names and passwords. Regulars have complained of not being able to sign into the game and/or receiving messages that they're already logged in through another device. Gameloft officially confirmed the hack to PocketGamer, but didn't specify the steps being taken to remedy the issue. Critics blame a lack of security, which allowed the hackers to exploit code and enter through a back door. Unless Gameloft addresses this situation properly, it could spell doom for the game. We'll have more news as soon as it becomes available. Visit the Gameloft forums for more info.